If you are an automobile maniac then you would be stunned to find out that almost all the cars that are sold all around the globe, and yes, we’re talking about millions of cars per annum are actually really just sold by 14 of the giant automobile corporations! Whether it Is a small family car or a super deluxe one, the manufacturing and sales are controlled by a very few number of brands. 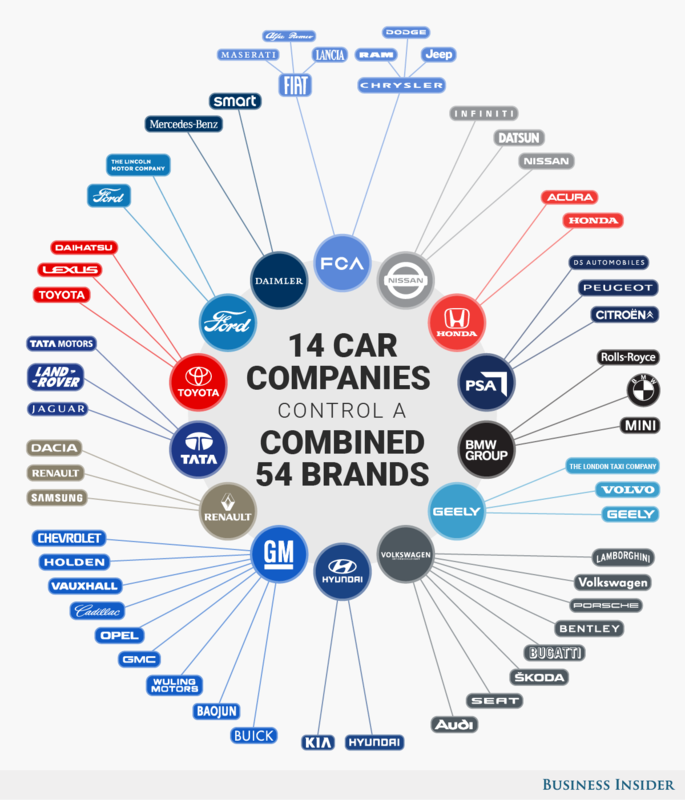 Thanks to this infographic by Business Insider, now we can understand how 14 corporations make up the 55 brands that manufacture the unlimited number of our favourite cars! Check them out here!